Viber, one of the world’s leading messaging platforms, announces the launch of its special Valentine’s Day feature, a heart-shaped instant video message. The limited edition feature will be available to Viber users until February 15. We all get butterflies in our stomachs when Valentine’s Day rolls around, right? Heartwarming texts are excitingly shared between lovers in anticipation of a romantic night ahead, but everyone is eagerly looking for new ways to surprise their loved ones. This Valentine’s Day, Viber is spicing up the way people can say “I love you” to friends, family, and loved ones through chats, making it one of the world’s most secure and expressive messaging apps. Viber is still the safest and most private method of online communication, allowing global users to express their love and then, even auto self-destruct those more “personal” messages they send on Secret Chats! 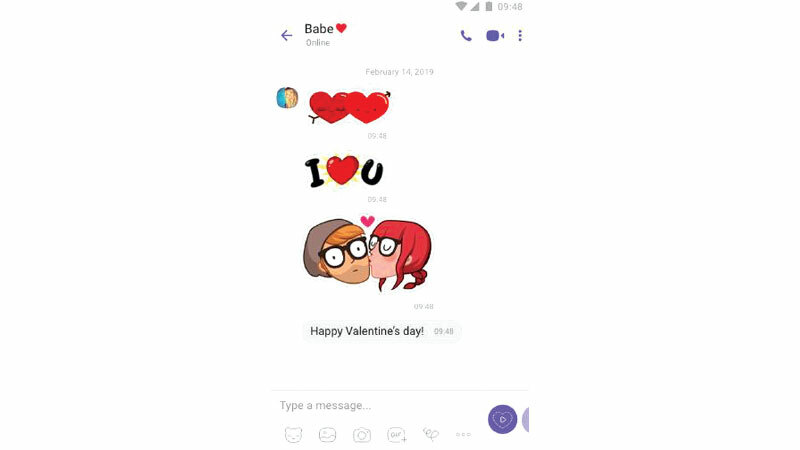 The heart-shaped instant video is part of the latest update 'version 10’ of Viber, that includes a new design that enhances UX and connection speed, available on the App Store and Google Play Store.